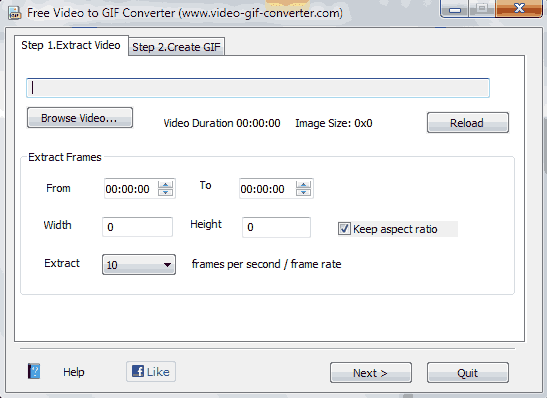 So you want to convert your Video into a GIF animated file. You can easily do it, either record a video in GIF image or convert your video to GIF animation and view it in your web browser. Few months earlier when I was writing a post on Animation Effect in Windows 8 Start Screen, I needed a software or online website that will create or convert a video which contains start screen animation into a GIF animation image. I found many software and websites that can convert a video into GIF but not all of them was good, and to make it easier to choose for you, I have included three ways to convert your video into GIF. I am sharing this at first because I have used this software to convert my video to GIF and it made it what I wanted very easily. To start the conversion process, you will need a video (any format). So, I first recorded the screen using Top 5 Screen Recording Software and than used that video to make my GIF animated file. Follow the following step to get started with this program. At first, download the software from here and install it on your PC. Open it and browse for a video file that you wish to convert into GIF animation. See the screenshot given below. Note: You can extract frames or make GIF during particular interval of time. Also, you can change the width and height of the GIF image with this program and customize the FPS of your GIF file. After choosing your video, click next. 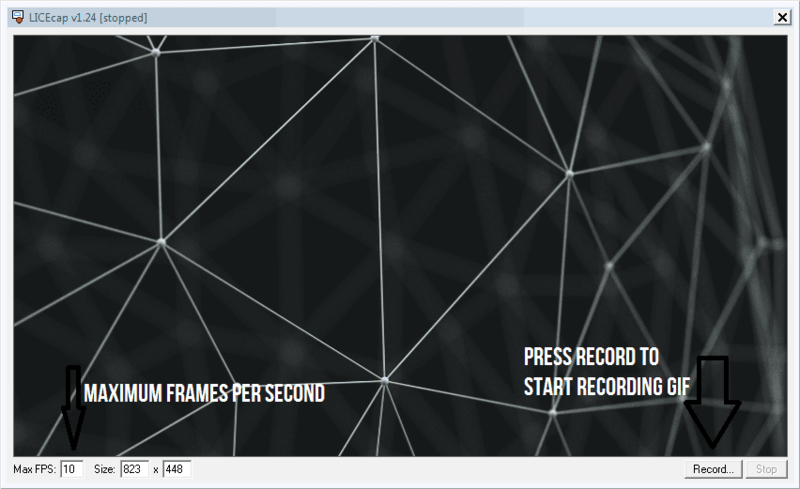 In this step, you can see all the frames of your video. Remove the frame which you think isn't necessary and choose the quality of the animated image. After setting up everything, click on Make GIF button and than your animated file in GIF format will be created. Another software program that I found interesting is LICEcap. With the help of LICEcap, you can record the screen of your monitor and the export the recorded file in GIF format. It is a simple and easy to use software. Follow the steps given below to know recording screen in GIF with LICEcap. Download the software from here and than install it on your system. After that open LICEcap and re-size the Window to fit the size of your GIF file and press Record button. See the image below to know more. After that press stop to stop recording and save your GIF file. That were the two software that I found interesting and easy to use and convert video into GIF animation. The third way is by using online GIF converter. You can search for Online GIF Converter in search engines, you will get good list of sites. I have tested using imgflip.com. Give any video URL or YouTube URL or upload a new video. Set the size, speed and FPS and after that generate download your GIF or share it to your friends. That's All! Enjoy recording and converting your video in GIF animated file format. If you need help, feel free to drop a comment below.